Roam-E uses facial recognition software and stays airborne with just two rotors. For past 50 years, CES has been the platform where new technologies and next-generation innovations are introduced to the marketplace that has changed the world. And like every year, something pioneering was previewed in this year’s tech show, which was held in Las Vegas. Built with facial recognition technology, a new type of fold-up drone named, ‘Roam-E drone’ that follows its owner about taking selfies was introduced at the show. 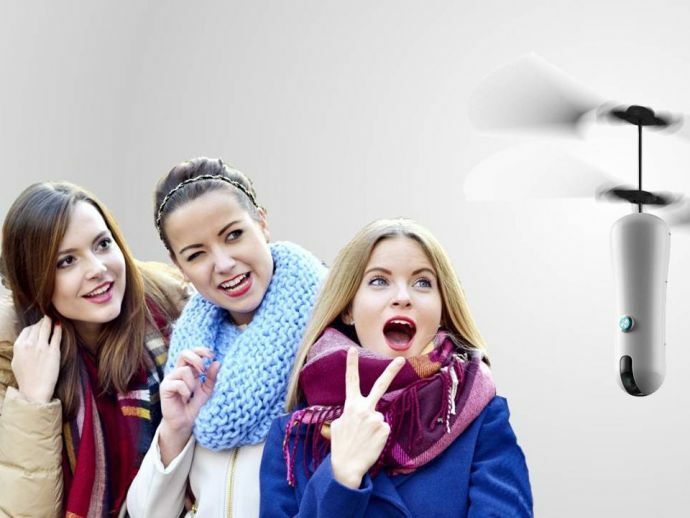 One of its astounding feature is that the Roam-E can fly in the air for up to 20 minutes and follows within 25m from its owner. Once this drone is tethered to the smartphone, it will never require any additional tethering device specific to Roam-E.